Before joining a mastermind group this year, I have to admit, I was a big skeptic. If you’ve never participated in a mastermind group, it’s easy to think of it as just another meeting to attend. Another box to check off on the to-do list. However, my decision to join a mastermind group with three of my most like-minded, driven, entrepreneurial friends, has been one of the most transformative experiences I’ve had in a long time. In just a few short months, it’s brought an incredible amount of accountability to achieving my goals and has given me invaluable outside perspectives on a few major business challenges. It’s been especially helpful, as I work primarily by myself. Even if you work alone as a solo business owner or freelancer, there’s nothing stopping you from creating a mastermind group with other like-minded entrepreneurs. You can find group members from blogs and communities you follow, professional organizations or invite others who are where you want to be in ten years. Here are my five essential rules to building a mastermind group that actually gets results and keeps everyone wanting to come back for more. 1. Choose Your Members Wisely. When it comes to mastermind groups, deciding which one to join or who to invite to yours, is going to set the tone for the months and years to come. Beyond simply trusting these people with intimate details about your business, you need to be able to relate to them on a personal and professional level, too. They must relate to you on a personal level. Can you see yourself being friends, or at least spending non-work time with the members of this group? The reality is, you’re likely going to spend at least a few hours each month either in-person or online with your mastermind members. If you don’t have similar interests, passions, hobbies or experiences, you’re not going to click. They must have similar experience. If your mastermind group has members who are coming right out of college and others with ten years of experience running their own business, it’s not going to work. It’ll be very challenging to strike a balance of sharing, and the value gained will be overwhelmingly lopsided. The more experienced members will gradually drift away or begin viewing it as simply a mentoring session, rather than a true mastermind group. They can’t be your competitors. It’s not possible to give objective feedback, or trust recommendations when it’s coming from someone who you’re in direct competition with. 2. Set Ground Rules Immediately. How often will you meet as a group? Which day of the week or month? What time? Is there a limit to how many members can join the group? When and how are new members added to the group? What’s the criteria for evaluating new members? 3. Have a Clear Agenda & Structure for Each Meeting. It’s essential to have a meeting structure that benefits the members of the group. There’s nothing worse than wandering aimlessly from problem to problem without any clear boundaries around what should be discussed and when. In my mastermind group, having a mutually agreed upon agenda helps us to stay on track. We always start with a few minutes of informal catching up that we cap to ten minutes maximum, then give five minute updates on where we’re at with our goals from last session. From there, we take a deep-dive into a specific challenge that one member is having and offer up actionable potential solutions for twenty to thirty minutes. Finally, we wrap up with ten minutes of open forum to address any major outstanding challenges from other members, state our goals for what we want to accomplish for the month, and book the date & time for the next session. 4. Decide Upon a Group Leader. In my mastermind group, our leader is responsible for keeping sessions on track, scheduling the next meeting before wrapping up the current one, sending around a brief agenda before each session and recapping notes with everyone’s goals afterward. The group leader is usually the person who organizes the mastermind, recruits new members, and manages the logistics of getting everyone together in-person or online. Arguably the most important tenant of a mastermind group that keeps members coming back for more, is putting in place a structure that encourages even sharing. While one purpose of joining a mastermind group is, without a doubt, to help overcome challenges in your own business, it’s just as much about stepping back and selflessly helping others accomplish their goals. A regular practice of pitching in to solve problems that are outside of your typical area of expertise will give you new perspectives and ideas to implement within your own business. 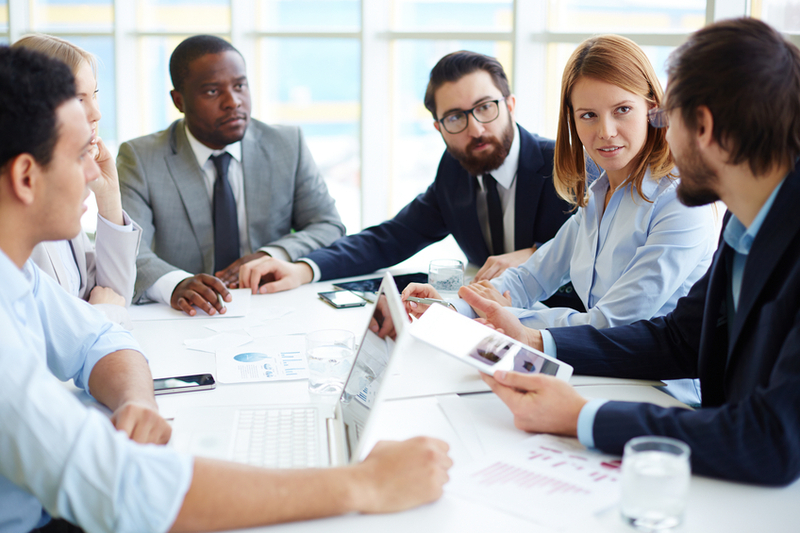 Your mastermind group won’t immediately be perfect, but starting by implementing these five rules into the management structure of each session will significantly help keep everyone engaged, benefiting, and coming back for more. Ryan Robinson is an entrepreneur and writer who teaches over 150,000 monthly readers how to launch a profitable side business. His online course, “The Launch While Working Formula,” gives you a roadmap to building your business while keeping your full-time job.